No Starch Press boasts to publish “the finest in geek entertainment.” Their titles have personality and attitude, written by authors who are passionate about their subjects. Their goal is to make computing accessible to technophile and novice alike. No Starch Press titles have been included in the prestigious Communication Arts Design Annual and STEP inside 100 competition, and have won the Independent Publisher Book Award (the "IPPYs") from Independent Publisher magazine. Python is a powerful, expressive programming language that’s easy to learn and fun to use! 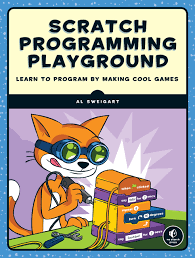 But books about learning to program in Python can be kind of dull, gray, and boring, and that’s no fun for anyone. Python for Kids brings Python to life and brings you (and your parents) into the world of programming. The ever-patient Jason R. Briggs will guide you through the basics as you experiment with unique (and often hilarious) example programs that feature ravenous monsters, secret agents, thieving ravens, and more. New terms are defined; code is colored, dissected, and explained; and quirky, full-color illustrations keep things on the lighter side. Chapters end with programming puzzles designed to stretch your brain and strengthen your understanding. By the end of the book you’ll have programmed two complete games: a clone of the famous Pong and “Mr. Stick Man Races for the Exit”—a platform game with jumps, animation, and much more. Why should serious adults have all the fun? 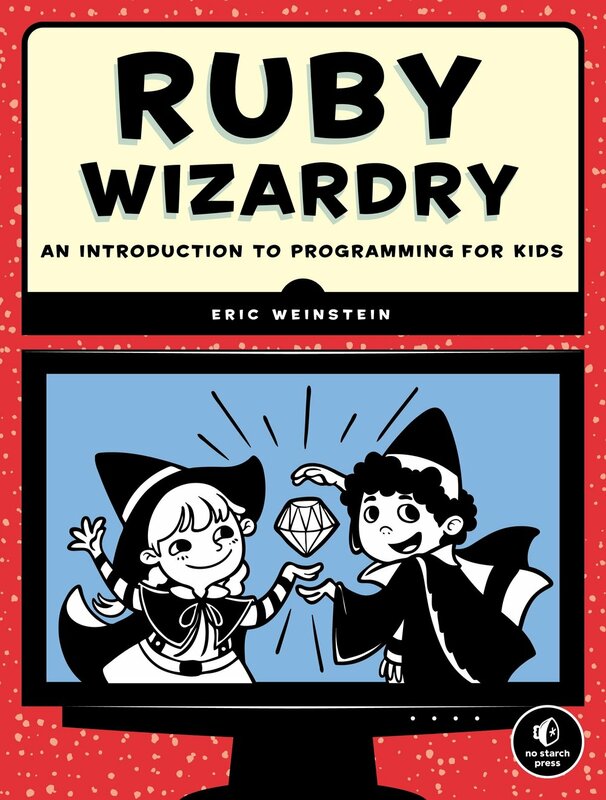 Python for Kids is your ticket into the amazing world of computer programming. For kids ages 10+ (and their parents). The code in this book runs on almost anything: Windows, Mac, Linux, even an OLPC laptop or Raspberry Pi! Featuring original artwork by Miran Lipovača. Apple’s Swift is a powerful, beginner-friendly programming language that anyone can use to make cool apps for the iPhone or iPad. 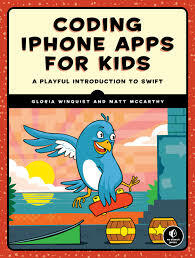 In Coding iPhone Apps for Kids, you’ll learn how to use Swift to write programs, even if you’ve never programmed before. You’ll work in the Xcode playground, an interactive environment where you can play with your code and see the results of your work immediately! You’ll learn the fundamentals of programming too, like how to store data in arrays, use conditional statements to make decisions, and create functions to organize your code—all with the help of clear and patient explanations. Once you master the basics, you’ll build a birthday tracker app so that you won’t forget anyone’s birthday and a platform game called Schoolhouse Skateboarder with animation, jumps, and more! Build programs to save you time, like one that invites all of your friends to a party with just the click of a button! Why should serious adults have all the fun? Coding iPhone Apps for Kids is your ticket to the exciting world of computer programming. Covers Swift 3.x and Xcode 8.x. Requires OS X 10.11 or higher. Then, in Part 3, you’ll learn about digital electronics—things like logic gates and memory circuits—as you make a secret code checker and an electronic coin flipper. Finally, you’ll use everything you’ve learned to make the LED Reaction Game—test your reaction time as you try to catch a blinking light! With its clear explanations and assortment of hands-on projects, Electronics for Kids will have you building your own circuits in no time. In Learn to Program with Minecraft, you’ll do all this and more with the power of Python, a free language used by millions of professional and first-time programmers! Whether you’re a Minecraft megafan or a newbie, you’ll see Minecraft in a whole new light while learning the basics of programming. Sure, you could spend all day mining for precious resources or building your mansion by hand, but with the power of Python, those days are over! Requires: Windows 7 or later; OS X 10.10 or later; or a Raspberry Pi. For more information, visit: www.nostarch.com .